Welcome to my site for learning Japanese! As a small incentive, here is something cool or interesting in Japanese that might motivate you to study. It will be updated often so come again! Here you will find a wealth of information that will help you learn Japanese, all for free. This site has two guides to aid you on your way to full Japanese fluency with no compromises. If you’re new to learning Japanese, I recommend you start with the Complete Guide to Japanese. This guide avoids long and complicated explanations and teaches you essential grammar and vocabulary through examples, interesting dialogues, and suggestions for practical applications. Though it’s still a work in progress, the first five chapters are essentially done. Feel free to give me a shout if you get near the end and find that it’s still not finished. 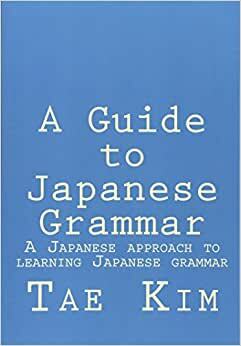 If you are taking Japanese classes and you want to get a better understanding of how things work, the Guide to Japanese Grammar is designed to supplement your studies and give you a solid understanding of the grammatical structure of Japanese. It thoroughly explains Japanese grammar by starting with the most fundamental ideas and building upon it layer by layer. It is much easier to understand than a traditional Japanese class which will likely skip straight to the polite forms without explaining where they come from. The grammar guide is also available as an Android or iOS app. Ok, I’m not going to go into all the reasons why Japanese is such a fun and rewarding language to learn because you’re already here and interested in learning it. If you’re still undecided or afraid that it’s too hard, don’t be! It can be one of the easier languages to learn in ways that will surprise you. So here’s what you need to do to teach yourself Japanese and how to do it by using this site. Learn Hiragana and Katakana (the Japanese “alphabet”). Learn vocabulary (with Kanji) and grammar with help from the either the Complete Guide or the Grammar Guide. Practice listening, speaking, reading, and writing with material that is interesting to you. Learn how to use various tools such as online dictionaries. Repeat steps 2 and 3 with progressively more advanced topics. Achieving full fluency of a language requires not just learning the language but regularly applying what you learned by listening, speaking, reading, and writing. There are many online tools such as online dictionaries that will help you read and watch Japanese books, comics, and movies. There are also sites that will help you connect with native Japanese speakers for language exchange as well as other sites that will help with correcting your writing. These tutorials go over how to use these various tools to effectively learn Japanese online. Japanese from scratch youtube channel: Short and simple videos for learning Japanese from scratch. These videos eventually make their way into the site but will show up here first. My blog: I talk about various topics that are interesting to me, potentially useful resources, and other miscellaneous things. Twitter: My twitter feed with random stuff. Facebook Group: My group for sharing things pertaining to learning Japanese.